During these recent years of growing awareness of Indian cultural invasion of Pakistan as well as language issues, a lot of Pakistanis have fallen under the false notion that making Farsi and/or Arabic the national language of Pakistan will solve the problem. These same people think the solution to de-Indianize Pakistan's masses who are victims of Bollywood should be to Arabize-Persianize-Turkisize them, in other words make Pakistanis think and seem like another Middle Eastern nation and have the same origins as Arabs or the people of Iran or Anatolia, Turkey. In other words develop an inferiority complex among Pakistanis to Middle Eastern Muslims and replace Pakistan's indigenous culture with Arab or another Middle Eastern culture. This does not protect Pakistan's identity, history or culture from being endangered, but in fact does the opposite. This post will take the arguments one by one and refute them. It will also attempt to propose a solution for the language issue in Pakistan. Argument: Farsi was the national language of the Muslim Mughal (Mongol) Empire in South Asia and used for inter-communication while people of the Pakistani provinces continued speaking their native languages and had to do with Urdu (Undri). Rebuttal: During the days of the British Empire English was used as the inter-communication language for the people thought the subcontinent and no longer had anything to do with Farsi (Persian) or Arabic or Turkic languages during that time. 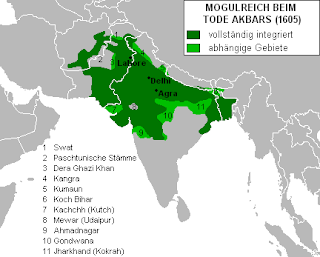 Another thing to remember is that Urdu is a Turkic word developed by the Turko-Mongols (Mughals). This means Urdu (then known as Hindustani) was developed by the Mughals after Farsi was phased out as the court language. If these people who propagate Farsi being the national language want it so to imitate the Mughals, then Urdu is just the thing for them. Argument: Farsi was used by all Muslim majority areas in South Asia, Pakistanis being majority Muslims should speak Farsi as their national language. Rebuttal: If speaking Farsi is part of being a Muslim, then all Muslims should be learning it. Whether a Muslim convert in Europe or an Arab Muslim or a Muslim in Malaysia. Why should only Pakistanis speak Farsi & Arabic? Argument: Urdu is almost the same as Hindi; hence it should not be the national language makes Pakistanis able to understand Indians and their propaganda. Rebuttal: Punjabi is another language shared by both India and Pakistan. In fact Punjabi is a first language to the majority of Pakistanis. Should it be banned or removed to prevent Pakistanis being able to understand Indian programs and/or propaganda broadcast in Punjabi? Some of these new Pakistani "nationalists" and "patriots" argue the fact that East and West Punjabi are separate dialects, but the same can be said for Hindi and Urdu. Furthermore a lot of Sindhi "Hindus" who left Pakistan for India speak Sindhi and broadcast their media in Sindhi many times too. And knowing that a lot of Sindhi "Hindus" have right-wing Hindutva views and agendas, should Pakistan protect it's Sindhi population from being exposed to Sindhi-Hindutva propaganda broadcast from India and ban Sindhi altogether? Imagine the outcry it would cause. Argument: Urdu is a foreign language to Pakistan. Rebuttal: The claim that Urdu developed entirely in present-day Northern India is a big lie. Written Urdu poetry has been found in Lahore dating back to the twelfth century. Urdu is basically a result of Sanskrit having Turkic, Arabic, Farsi vocabulary attached to it by the Mughals. Where the Mughals ruled, there was Urdu. So people whining about speaking the language of the Mughals should know in the end it was Urdu that the Mughals spoke. Because the Mughals ruled mostly North India and Bangladesh while maintaining their capitals in Pakistan, the number of Urdu speakers in India is much higher. It is true, Urdu was popularized due to the arrival of some Urdu-speaking Indian Muslim immigrants (remember not all Indian immigrants spoke Urdu), it had a strong presence in Pakistan much before that for at least eight hundred years, mostly in the Punjab province. What's more is that Farsi is much more foreign to Pakistan much more than Urdu is. Urdu's parent language Sanskrit on the other hand was spoken in the Indus Valley Basin/Pakistan for thousands of years so Urdu has it's roots more so in Pakistan than in North India or Nepal. Sanskrit thrived in the Indus region, where the Vedic people (who were not "Hindu" by the way) used it in their spiritual activities. Sanskrit poetry thrived even in the Iranic speaking areas of Pakistan's northwestern areas during Pinani's era. Even today linguists cannot pinpoint the exact origin point or time period where Urdu/Undri started as it is known today. The same cannot be said for Farsi which evolved somewhere in the Iranian plains, not the Pakistani Indus Valley Basin. In addition Urdu, being Indo-Aryan has a more close relationship to Punjabi, Sindhi than does Farsi (see the linguistic chart on the top of the page for reference) which is a central Iranic language. Argument: Urdu was imposed on the masses of Pakistan and was treated as the "more Muslim" and more "superior." Rebuttal: What is being proposed for Farsi is no different as if it is the "more Muslim" "more superior" language. And as argued Urdu's parent language Sanskrit was spoken in the Indus region for thousands of years so Urdu does have roots in Pakistan, not Farsi. Argument: Urdu is the language of the Muhajirs and not the first language of the rest of the population. Rebuttal: The "Muhajirs" are diverse people. Northern India was a melting pot of many cultures including Turkic-Turanoid, Semitic-Arab, Persian and others. Alot of them might speak Urdu as a common language, but it does not mean they have common ancestries. Alot of them trace their ancestry to Arabia, the Iranian plato, central Asia and others also into present-day Pakistan. Additionally, not all of them speak Urdu as a first language. For example there are "Muhajirs" who speak/spoke Bengali as a first language, there are "Muhajirs" who also migrated out of South India and speak/spoke Tamil and other Dravidian languages as their first languages. Little is known about exactly how or where the modern-day Urdu language developed. But what is clear it is derived from Sanskrit, again a language that was spoken in Pakistan for thousands of years. Sindhi and Punjabi are derived from Sanskrit too. Furthermore is not Farsi the language of the Fars (Persian) people in Iran? Argument: The imposition of Urdu has caused resentment in the population. Rebuttal: And what will the imposition of Farsi cause? Overjoy? Even within Iran, the imposition of Farsi has caused resentment and rebellion amongst the non-Persian population which constitute about 49% of Iran's population, so why pretend that Farsi will create unity and harmony in Pakistan when it is causing tension and rebellion in it's home? Argument: Urdu a "North Indian" is destroying Pakistan's 'local' languages. Rebuttal: Farsi will do much worse damage than Urdu to Pakistan's local languages than Urdu has been accused of doing. And for those who argue Urdu's close relationship to Hindi, doesn't the name Hindi itself originate in Pakistan? The name comes form Hind, which in term comes form Sindh/Sindhu which was on of Pakistan's many names in ancient times. What's more is those who call Urdu a "North Indian" language are extremely ignorant and illiterate in the field of linguistics. A language is not given a name based on the Geographic location it was officialized or popularized in! Plus Urdu poetry records have been found in Lahore going as far back as the twelfth century. Turkish (Turkche') for example is not called an Anatolian language despite that it is spoken in Anatolia, Turkey. Turkish is called an Altaic language because from what linguists have found so far is that it's roots are in the Altay mountains in present-day Mongolia. If one goes back as two-thousand years, Turkish has no roots at all in present-day Turkey. Hungarian is spoken in central Europe, nobody calls it a central European language but a Uralic language because it's origins can be traced back to the Ural mountain region in Siberia. Dozens of similar cases such can be presented, that a language is not necessarily native to the country or region it's spoken in. In fact, few languages are native to the lands they are spoken in. What's more is if we go to the roots of most of Pakistan's "native languages" (Urdu included!) then almost all of the languages spoken in Pakistan today are not native to the country! Pakistanis who are overwhelmingly Indo-European speaking people will have traced their languages back to the Black Sea region where ALL Indo-European languages originate. This truthfully means any nation that speaks an Indo-European language and is located outside the Black Sea region speaks a language not Native to the land they inhabit. Argument: Making Arabic and/or Farsi the national language will give Pakistani Muslims to be closer to their Muslim brothers in their western borders. Rebuttal: A lot of Arabs especially from the Gulf States UAE, Bahrain, Oman as well as Iranian nationals are fluent in Urdu. So to be closer to them, why not ensure all Pakistanis are also fluent in Urdu? Argument: English will destroy the heritage of Pakistanis and has given an inferiority complex to Pakistanis over the West. Rebuttal: Farsi or Arabic will do no different, however English will offer a lot more global inter-communicative advantages than Farsi or Arabic does. But in the end, neither should English be officialezed. And knowing that many Pakistanis do have an inferiority complex to Arabs and Iranians (thanks to radical Islam), officializing Farsi and Arabic will only strengthen this complex. Argument: It was the British colonizers who officialese Urdu as the national language for their political gains. Rebuttal: Likewise it was the Mughals (Mongols) had adopted & officialized Urdu over Farsi in order to communicate with the native population by deriving it from Sanskrit. Another note to add before moving on to the national language question is that Sindhi & Punjabi have been more badly been affected by outside influence than has Urdu. Though Sindhi is an Indo-Aryan language inside the Indo-European language family, it does indeed show heavy signs of Dravidian influence in it's consonants to a much higher degree than Urdu and perhaps Punjabi. This is a feature hardly found in any language belonging to the Indo-European family. This influence is so high that it is common for people to mistake Sindhi for a Dravidian language. This is a point Pakistani language preservists and purists need to take into consideration. Additionally Sindhi is said to also have been influenced a higher Semitic vocabulary and grammar (most notably in the suffixes added to the pro-nouns) even more than it's than it's parent, Sanskrit. This is another point needed to be taken into consideration by the same "nationalist" Pakistani language preservists with their bigoted black-and-white attitude to Urdu. Argument: Farsi/Persian was spoken in Pakistan since the times of the Achaemenid Empire. Rebuttal: The Farsi spoken in Pakistan during the Achaemenid Empire ages was an ancient form of Farsi. The modern-day Farsi is a distinct language descended from the ancient one. Modern Farsi descends from middle Farsi, which in turn descends from ancient Farsi. By this same token, Sanskrit gets another point because it is to Urdu/Undri what Achaemenid Farsi was to modern Farsi (modern was never spoken in Pakistan by the way save for traders in parts of Pakistan having links to Iran). As already stated Sanskrit was spoken in Pakistan much before the Achaemenid period going back almost 1500 BC. Even a lot of Pakistan's pre-history was written in Sanskrit. Even Pakistan's ancient name Sapta Sindhu (land of the rivers) is a Sanskrit name. Urdu, Sindhi, Punjabi and all other Indo-Aryan languages are derived from Sanskrit. The same way ancient Farsi gave birth to middle Farsi, which in turn gave birth to modern Farsi is the same way Sanskrit gave birth to Hindustani, or Urdu. Now that these false arguments have been refuted, what should be the national language of Pakistan without creating inter-lingual conflicts and at the same time providing good inter-communication? The best and first proposal would be Sanskrit revived. -It does not belong to any language or cultural group; hence it will not be seen as "the language of the other." -It is the parent of the majority of Pakistan's present-day Indo-Aryan languages, most notably Punjabi, Sindhi, Urdu, Saraiki (a Punjabi dialect). -It has a much more historical place in Pakistan as it was spoken in the Indus region for thousands of years especially in Vedic times. -It will not alienate Pakistan's Iranic speaking populations most notably Balochis and Pathans since it is even closer to Proto-Indo-Iranic than it's modern-day descendants. The ancestor has closer roots to the close relatives than the descendant. Each descendant are always one step/generation distant from the roots and relatives it goes for both living beings as well as languages. Two cousins are a generation distant from one another. Their off springs will be a third step from one another and so on. -Reviving a dead language is no easy task, and the question of reviving Sanskrit is not a when, but an if. -As mentioned in another post, because Pakistanis have been badly Islamitized, any attempt to revive their pre-Islamic culture would be resented. Islamitized Pakistanis see Arabic language and culture as a 'connection' to their own. This in the meantime has given Indians "Hindus" to hijack Pakistani heritage as "Indian" or "Hindu" heritage. Whether it is their claim of Pinani as an "ancient Indian" poet or Sanskrit as the "sacred 'Hindu' language" none of them are true and inspired by false propaganda. To counter this, Pakistanis need to be educated and taught their history properly, instead of being taught western or Arabic Islamic history. Once they are more educated, Pakistanis will see the good of reviving and speaking the language(s) of their ancestors. In case there is not enough support for Sanskrit because the Indians and Hindutvas have hijacked it and it would be then seen as "theirs," causing mass public resentment, then the next best option after that would be Burushaski; the language of the Hunza people. Little is known about this mysterious language, except that it has no known relatives. No records on this language can be found outside the region, as it had no written form of it's own. Burusho recently escaped being included in a proposed Proto-Balkan and Dene'-Caucasian hypothesis. A good guess is that this language is the last language indigenous to the Pakistan region. Most historians and linguists agree, that the language(s) of the Indus Valley was non-Indo-European. The Indo-European languages arrived during the Aryan invasion according to them, giving further credit to Burusho being the last of a dead language family once native to Pakistan. And due to their extremely remote location in rough terrain, the Hunza people managed to evade invading nations and tribes and preserve their language. Of course, this cannot be proven correct, but it's a good guess. If the languages of pre-Islamic Pakistan are revived or at least analyzed, it might prove so. But the fact is even if Burusho is not part of this dead language family, it is still native to Pakistan from what's been found so far and it is not something the Indians have hijacked yet. They haven't even bothered to learn it. What's more is Burusho is not spoken in any neighboring country's, another chance to preserve something Native to Pakistan. Another option would be for skillful Pakistani linguists to come together and construct a language based on Pakistan's Indo-Aryan languages in grammatical structure and use words from Baloch, Sindhi, Punjabi, Pashto, Siraiki, Baltistani, Burusho, Kashmiri and other indigenous languages of Pakistan. This is perhaps the only way to unify speakers of various languages. Urdu is already taking an evolving phase in Pakistan by adopting words from the various provincial languages. It is the best option for now, however should Pakistan's population reject it, then the best option is construction of a local language. It has been done before. Linguists have created languages for Lord of the Rings movie series or Klingon for the Star Trek movies/series or Star Wars movies. Either of these options is better than imposing a languages spoken by invaders (mainly Persians and Arabs) who oppressed our people for decades. Today a superiority complex towards Pakistanis is deep-rooted in their culture.